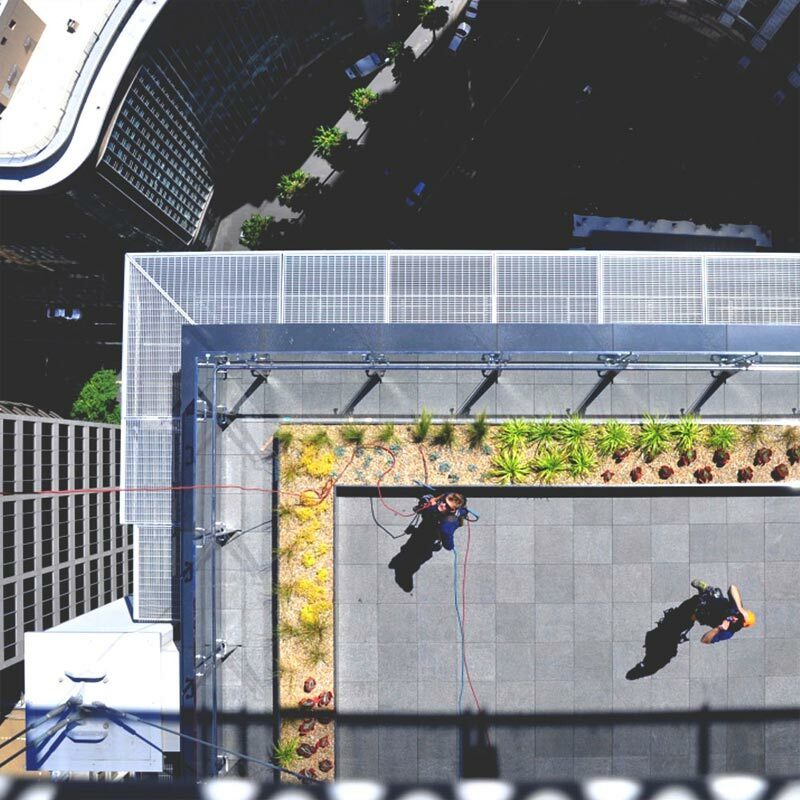 Sky5 were engaged by Mirvac to conduct a comprehensive building clean of the newly completed 8 Chifley Square, CBD, Sydney. Necessary approvals and strict completion requirements due to upcoming event. Extensive planning required; Elevated Work Platform hire, shift work hours and safety management planning. Short notice and a tight deadline for the 30+ storey building. Complex anchorage system for rope access technicians, who were necessary to engage for the clean to be completed. Internal foyer track system needing rescue standby personnel. Without previous work completed on the property by the company, rigorous Work Health and Safety procedures were required. We utilised our highly trained supervisors and team members to conduct the cleaning, management and planning. During all suspended works, a standby rescue team were on hand, lead by one of our level 3 rope access technicians. We liaised with client to overcome time restraints required work hours by working in multiple shifts spread across our team. 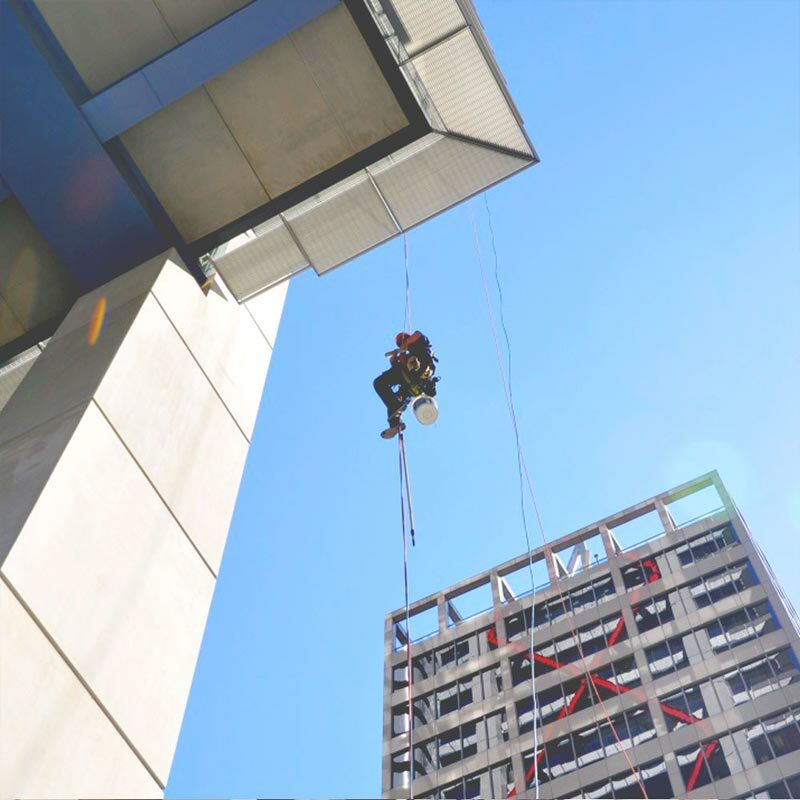 Without anchorage, a compliant rigging system was devised and implemented by one of our level 3 rope access technicians. All of the required Work Health and Safety documentation, site plans, Safe Work Method Statements, and permits were facilitated. 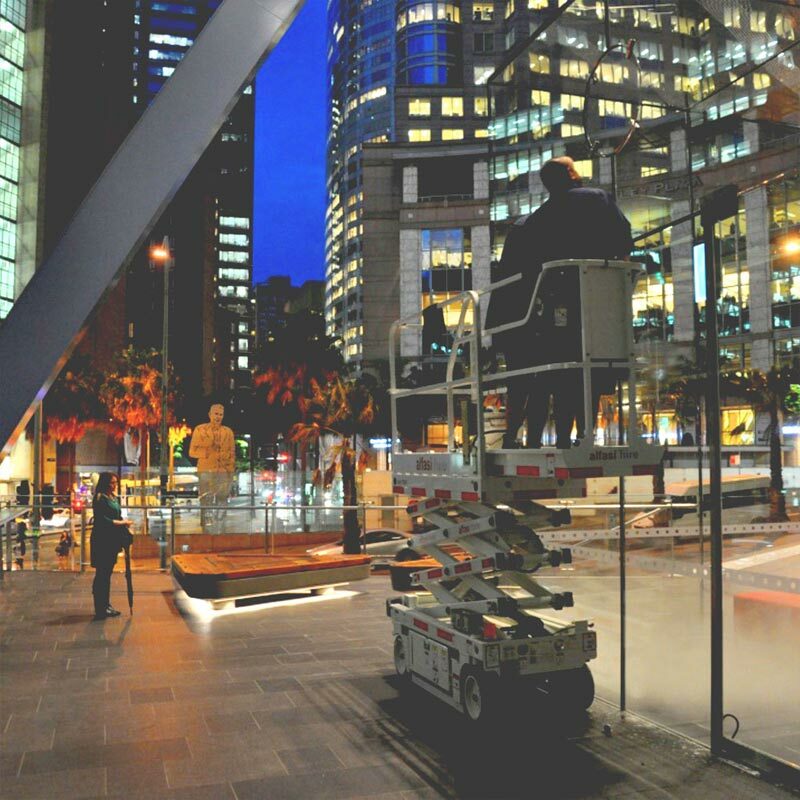 The opening night attendee’s comprised of both Mirvac and Government representatives, as such; we ensured complete customer assurance and satisfaction at the completion of works. 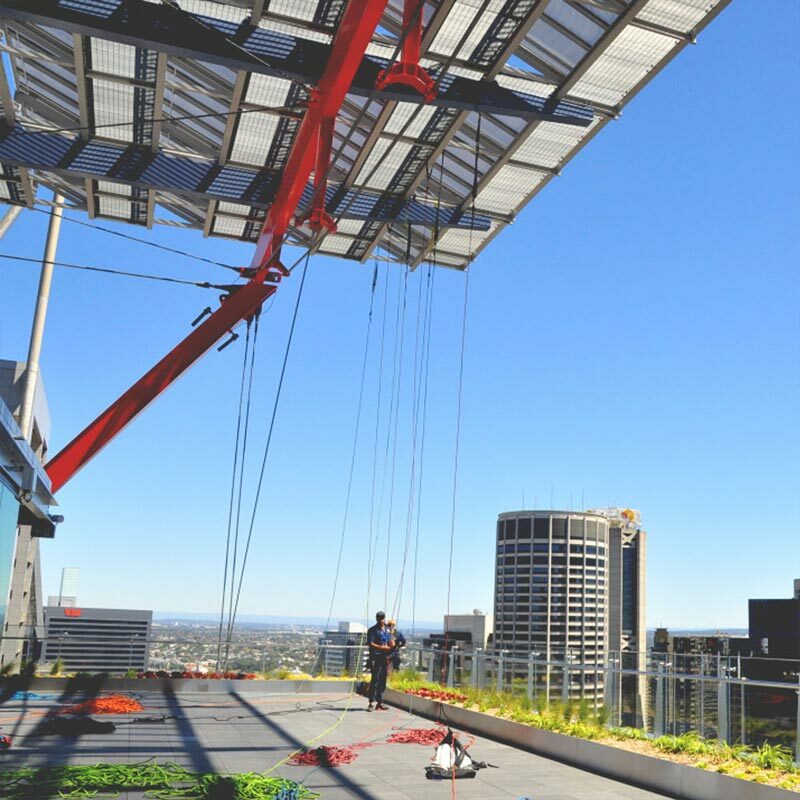 The work at 8 Chifley Square required thorough Work Health and Safety, rigging and rescue planning. As the project presented a multitude of challenges, our company group is proud of our achievement that allowed the entire building and impressive foyer to gleam on the building’s grand opening night. 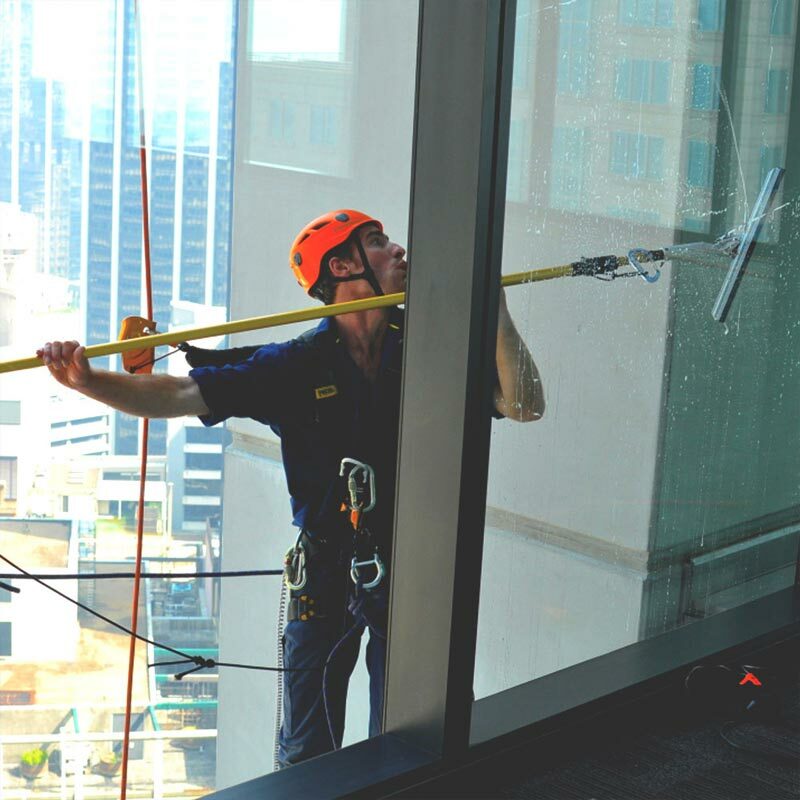 The results of which enabled Mirvac to sign an ongoing contract with our window cleaning division, ensuring the same impressive results with the same dedication to service. 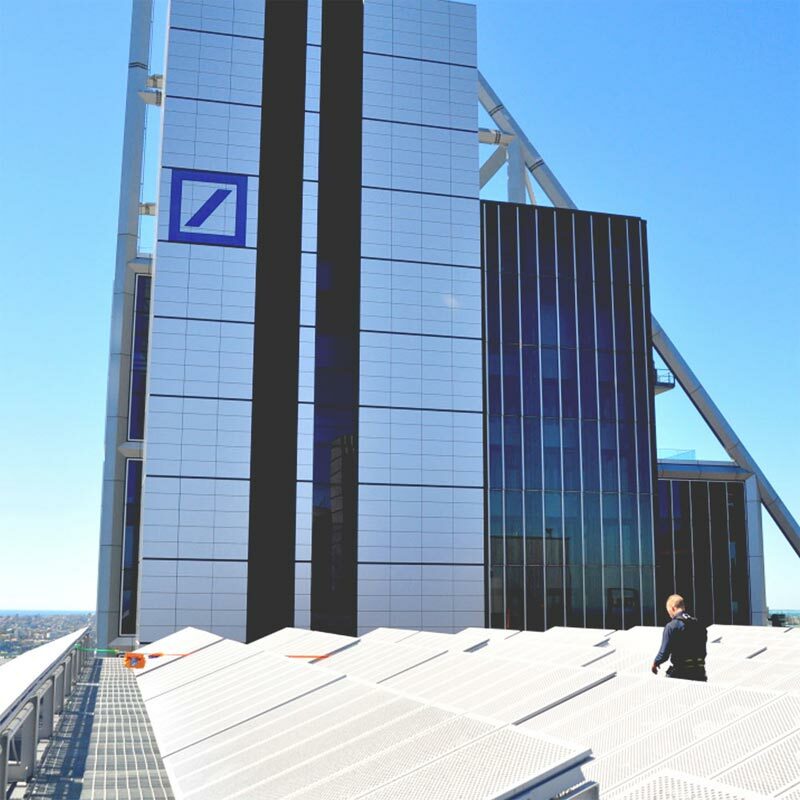 "The clean needed to be completed within 20 hours of the building's grand opening night celebrations."